iZombie: Rose McIver — Fansite dedicated to kiwi actress Rose McIver – Page 5 – iZombie: Rose McIver — Unofficial Fansite dedicated to kiwi actress Rose McIver. Create by fans, for fans. 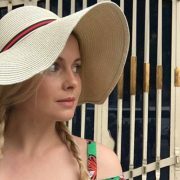 Rose McIver‘s newest movie ‘Brampton’s Own’ is NOW AVAILABLE on-demand (such as Amazon, iTunes, Google Play, YouTube and much more). Be sure to support the crew by watching it legally! .. 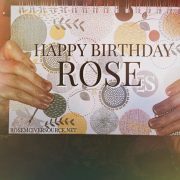 Remember, a few months ago, we taught you exclusively that ‘A Christmas Prince‘ would be entitled to a sequel, ..
Last year, Rose McIver announced her partnership with Emirates Airline and she also shared via social networks, photos of places ..
On this special day, the day our fabulous and talented Rose McIver turns 30, we decided to make a special little post. Indeed, .. Yesterday, Rose McIver was at the ‘KTLA 5’ show to talk about her new movie ‘Brampton’s Own‘ .. 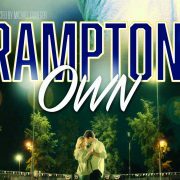 Source | Today, I share with you an exclusive clip of Rose McIver‘s upcoming film ‘Brampton’s Own‘. 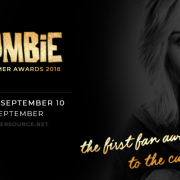 ..
Hi everyone, Votes for our ‘iZombie Fans Summer Awards‘ third season (who celebrate and honor the best achievement on fourth ..
Hello everyone, Currently, we have don’t have a lot of news from Rose McIver to share with you. Indeed, at this moment ..